Let’s face it; we all have our lazy days. We want to sit and relax by the TV but sometimes obligations force us to dress up for the occasion. I’m all about a minimalist look. It’s simple and typically looks elegant if done right. That’s why accessories are so important. You want, at least, one small aspect of your outfit to pop so even if you have a simple black dress, you can shine at any event. One thing that I’ve recently started doing is wearing brooches. I know what you’re thinking, they are a little outdated, but 2016 seems to be embracing old styles and revamping them to look like fashionably unique parts of the latest trends. Some of the pieces that I’ve bought in the past are really stunning as well, not only do they make that simple black dress come alive at parties but they are simple and quick, I mean they are pins after all. I just clip them on and I’m ready to go. The one thing that I advise is that if you’re going to do it, do it right! The point of this accessory is to pull off a simple, yet elegant look. You want to choose pieces that complement the color of your outfit and generally, you’ll want to wear nicer clothes, like dresses. What I find that really looks good is a dark colored dress with a nice contrast of turquoise as the main stone of the brooch. I have provided a link to the site where I get my brooches, here. 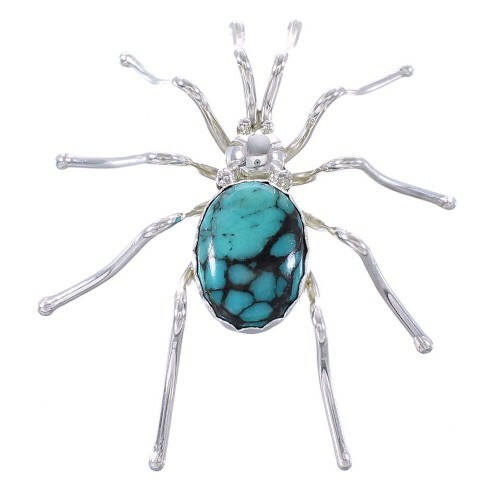 Don’t worry if you’re not a fan of spiders either, they have plenty of stones and designs to choose from. What I like best about this style and using brooches is actually how cheap it all comes out to be. Even though they use sterling silver and various precious gems, you’ll actually be pleasantly surprised at how cheap everything comes out to be when you’re done with the outfit. To all the savvy shoppers, savers, and fashionistas out there, take a look at some of these brooches and give the style a try this summer. You can save yourself the headache of spending hours on your hair and you’re your outfit. To really turn heads, do it with one click of a pin.